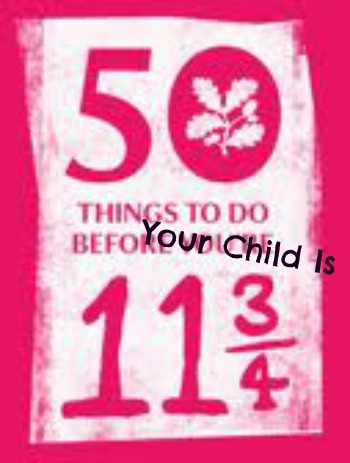 So, alright it's not a snappy title but in response to the National Trust's 50 Things To Do Before You're 11 and Three Quarters, it's the best I've got. Develop 1,763 ways of saying "NO"
Oh my God this is so accurate! Especially the bit about CBeebies and advertising!